– The New Yorker just published an article about the gender gap at work and particular at BBC: How the BBC Women Are Working Toward Equal Pay. 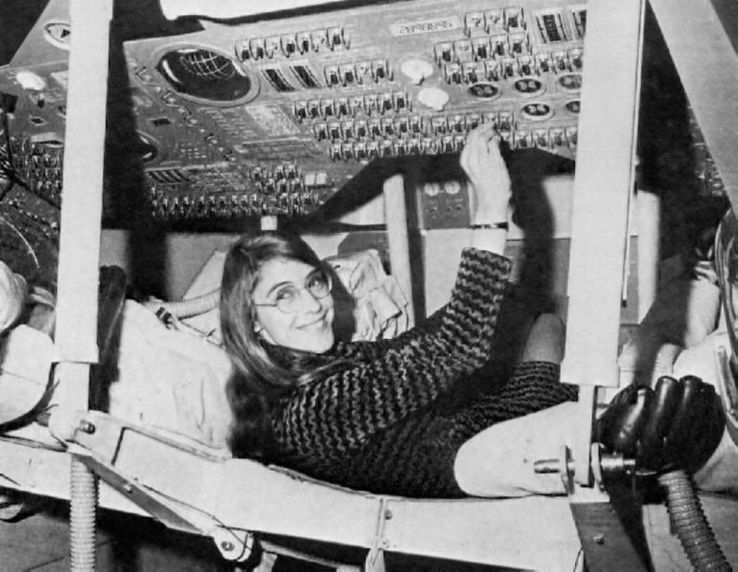 – France Culture tells the story of Margaret Hamilton, a software programmer on the Appolo project: (in French) Margaret Hamilton, la femme qui a fait atterrir l’Homme sur la Lune. Bock mentions another study on page 137 about graduates from Carnegie Mellon that is also mentioned in the New Yorker article as “As the economist Linda Babcock and the writer Sara Laschever explain, in their book “Women Don’t Ask,” women are less likely than men to negotiate for higher salaries and other benefits. At Carnegie Mellon University, for example, ninety-three per cent of female M.B.A. students accepted an initial salary offer, while only forty-three per cent of men did. Women incur heavy losses for their tendency to avoid negotiation. It is estimated that, over the course of her career, an average woman loses a total of somewhere between half a million and a million and a half dollars.” Additionally “Even when women do make it to the bargaining table, they often fare poorly. In “What Works: Gender Equality by Design,” the behavioral economist Iris Bohnet examines data from a group of Swedish job seekers, among whom women ended up with lower salaries than their equally qualified male peers. “Not only did employers counter women’s already lower demands with stingier counter-offers, they responded less positively when women tried to self-promote,” she writes. “Women, it turns out, cannot even exercise the same strategies for advancement that men benefit from.” When women act more like men, she suggests, they are often punished for it. Lean in, and you might get pushed even further back. This entry was posted in Start-up data and tagged Google, Women and high-tech, Work Rules! on July 24, 2018 by Hervé Lebret.